A retrospective of David Hockney at the Metropolitan Museum that explores 60 years of massive and diverse work by the great English-American painter. The show includes works from the early 60’s when Hockney was as a student at the Royal College of Art in London, His most famous paintings of L.A. leisure and good life scenes painted flat and geometrical. Collages from the 70’s and 80’s influenced by cubism are also included in this show and last but not least- his recent painting large, vibrant scenes of the Yorkshire countryside and his California garden that nod to the works of Van Gogh, Munch and Matisse. This immersive art installation is made up of hundreds of transparent globes illuminated by white LED lights that are suspended two feet off the ground. The lights are programmed to flutter in an odd way. 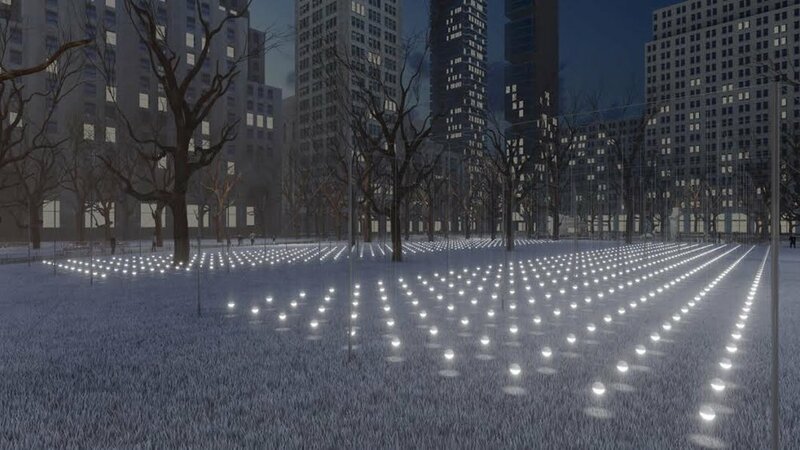 Erwin Redl is an artist that uses LEDs as the main medium of his work. Redi was born in Australia and is currently living in the United States. His work includes installations, videos, graphics, computer art and electronic music. The Holiday Train show at the Botanical Garden is truly something you won't forget. Every year, the garden celebrates its collection of crafted trains that chug along a nearly half-mile track followed by 150 miniature of NYC landmarks. Established in 1891, The New York Botanical Garden (NYBG) is a National Historic Landmark that's 250-acre (100 ha) site's verdant landscape supports over one million living plants in extensive collections. Take a tour in New York to discover more!